As you know from various posts last week (here and here), Swaziland recently celebrated young maidens (unmarried, childless girls and women) in the Umhlanga (pronounced oom-shlan-ga) ceremony. Umhlanga directly translates into reeds. One of our very own Swaziland PCVs participated this year with the regiment from her community. I was asked to document the event for Peace Corps Swaziland. I started preparing by trying to acquire a press pass. After different conversations with staff and other interested parties, I was given the contacts for an administrator of the foundation that supports Umhlanga. 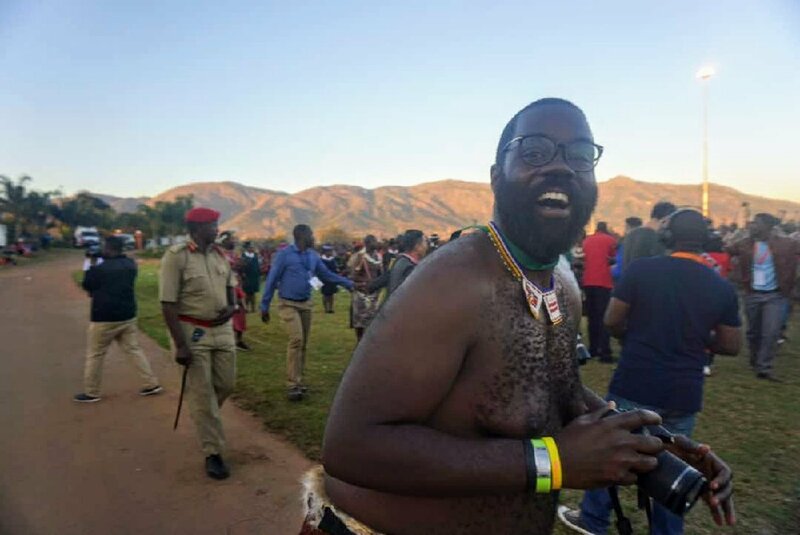 The contact, a Swazi prince, was able to provide me with the necessary email addresses and a list of documents that I would need to qualify for the press pass. All of this would have to be done in three days. I completed the paperwork and submitted the documentation. Time was passing, and I hadn’t heard anything. Finally, the day came for the maidens to deliver the reeds to the Queen Mother. I contacted the administrator at the foundation and received instructions on how to pick up my press pass. There was some confusion when I went to pick it up, but everything was sorted and I walked away with my very own press pass. I walked back to the stadium and joined the other media gathered at the event. As this was my first event as an official member of the media, I imitated the others in my attempt to not draw attention to my inexperience. They took pictures of regiments marching pass. I took pictures of those regiments. They stood behind a certain lamppost. I made sure I didn’t pass that point. Eventually, the king and his regiment arrived. 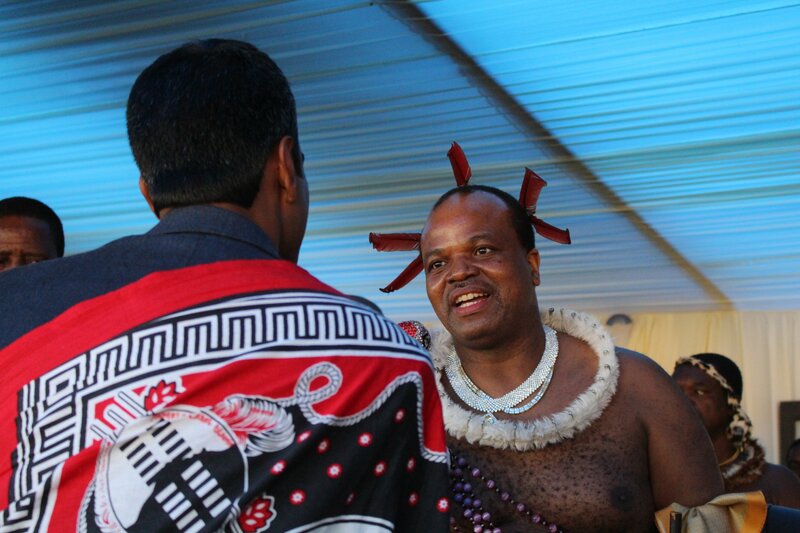 With the wave of a hand, the media was invited over to photograph His Majesty King Mswati III on the red carpet. I was able to be on the field as the PCV maiden marched pass with her regiment. I was also able to photograph the regiment of senior princesses among others. I received my invitation to Peace Corps Swaziland two years ago this month. If anyone would have told me then that I would be getting in high-five distance of and photographing the king, I wouldn’t have entertained the possibility. Thankfully, I’m surrounded by those challenge the notion that anything is impossible. The picture above was taken by Leslie M. as I was about to take pictures on the field. P.S. – This is one of the shots that I was able to get while the king was greeting international dignitaries.